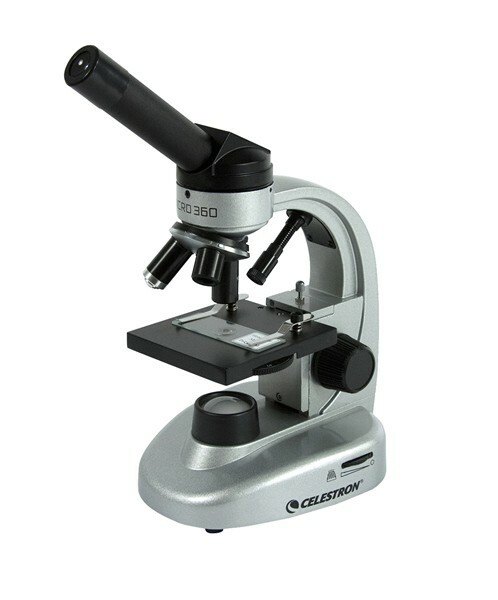 The Celestron Micro360 Dual Purpose Microscope is a versatile high power microscope that is suitable for specimen slides but also offers low power magnification for looking at solid thin objects. 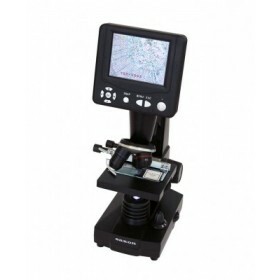 With a top and bottom LED illumination you can get bright sharp imagery from either slide specimens or opaque objects such as stamps, coins etc. 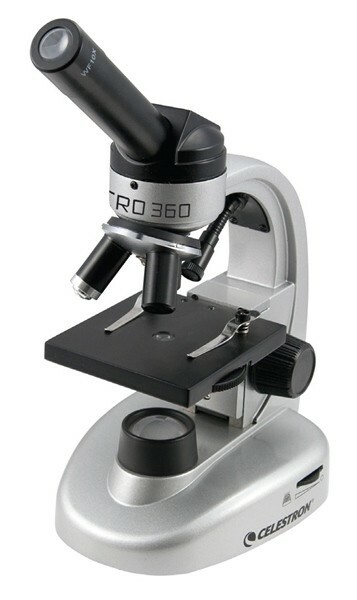 Featuring a fully 360 degree rotational eyepiece allowing you to view from any angle without having to move the microscope. 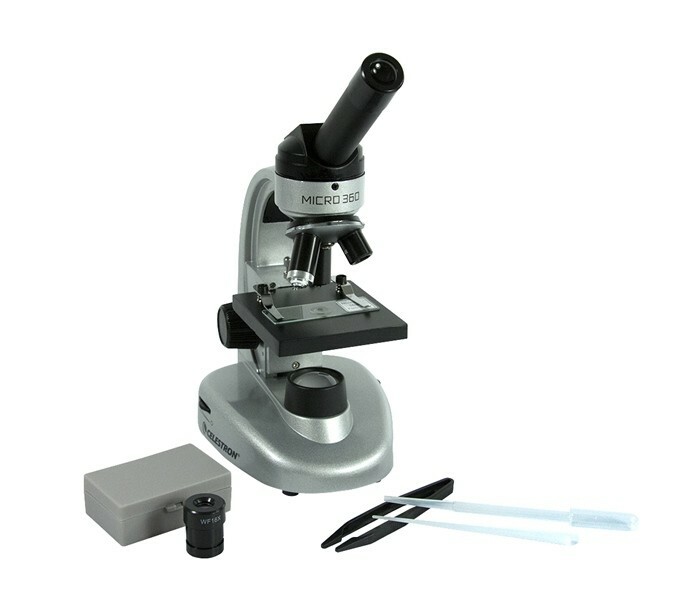 The Celestron Micro360 Dual Purpose Microscope is a truly versatile microscope with advanced features at an affordable price. 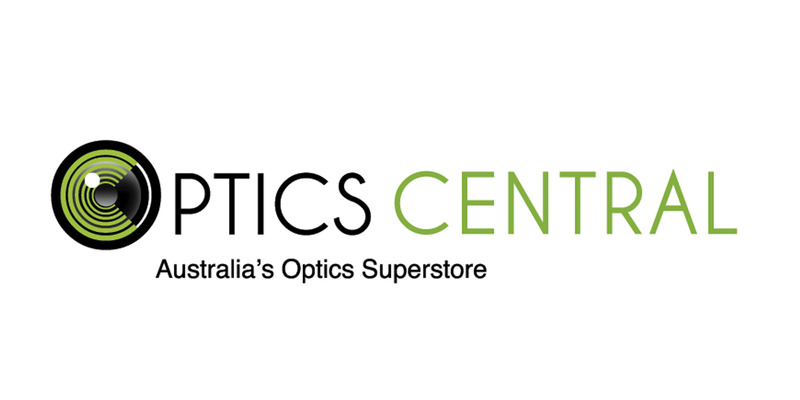 Offering 3 fully achromatic lens objectives, and bundled with two eyepieces. The eyepiece rotates 360 degrees so you can easily share your discoveries with others. 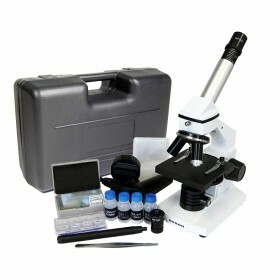 With magnification from 40x to 640x, it’s ideal for viewing a range of cellular specimens on slides, as well as viewing larger opaque objects. 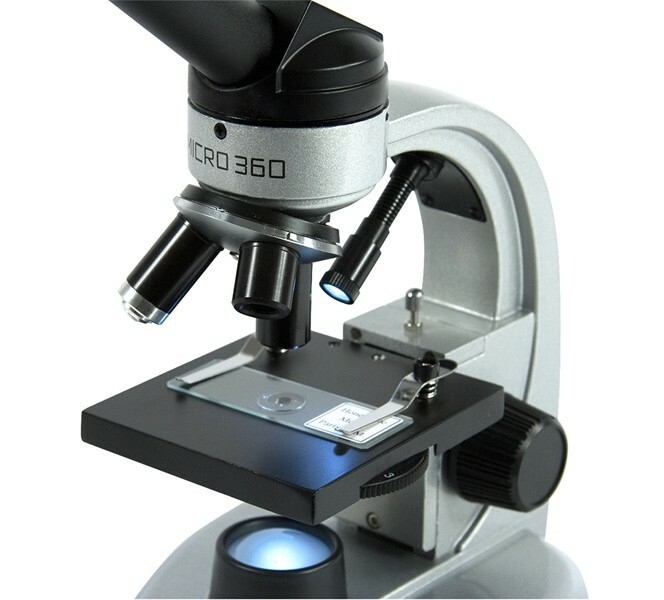 Great for the discriminating professional or serious hobbyist, the Micro360 Dual Purpose Microscope is a tool that is well suited for labs, schools, and research institutions.